First, you need to do your research. Not only into the motorcycle in question, but also into the dealer you’re purchasing from. We highly recommend taking some time to look at the reviews of prospective vendors, as some can be better than others. It’s also worth seeking the advice of friends who have purchased new bikes; ask them where they got them from and if they would recommend the dealer — this is perhaps the most reliable and informed feedback you can get. When visiting dealerships we recommend building a rapport with the staff — if they like you they may feel more obliged to give you a better deal. As well as this, you will get more honest answers to your questions and, as always, we encourage you to ask as many as possible. Take a knowledgeable biking mate with you if you can; it never hurts to take another pair of eyes that may pick up on details and deals that you might otherwise miss. Dealerships will have many bikes on display so try not to fall in love with the first one you see. Take your time to stroll round the entire dealership a few times. Get to know the bikes, sit on them and see if they’re suitable for your needs and size. Can you imagine yourself being comfortable riding this bike? We also suggest visiting more than one dealership to compare prices and bikes on offer. Buying a motorcycle is a big deal; so don’t rush it. If you’re considering taking a bike for a test ride, be sure to take your kit with you. You don’t want to miss the chance of really getting a feel for the bike simply because you forgot it. As well as this, have a route planned that will enable you to test everything the bike has to offer. If you’re unsure ask the dealer for a recommended route. 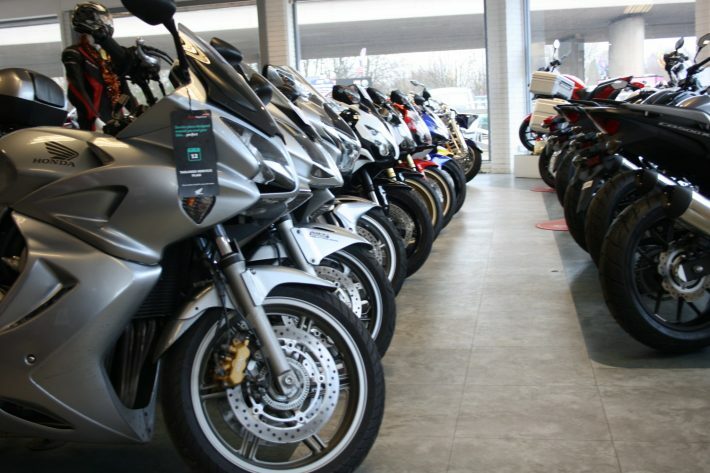 Dealers are always working towards targets and trying to shift stock, so it is not unusual for different motorcycles to be on offer in different dealerships. 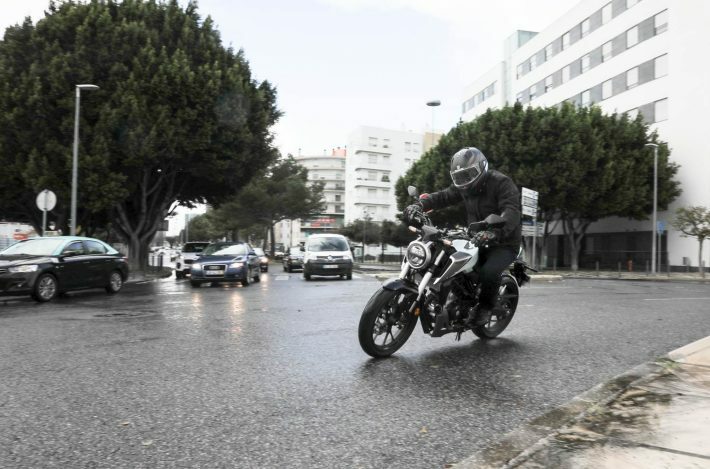 A bonus of new bike releases is that the dealership will more than likely have the previous year’s models available at discounted prices to make way for the new stock. Take advantage of this if you are looking to get the best deal for you money. Although, we understand buying the latest model is also very appealing. But you could get a bargain and spend the difference on some new riding gear and insurance. A major downside to buying a brand new bike is that it loses value as soon as it is ridden away from the dealership. After that depreciation slows down a little until it ‘bottoms out’. This is usually after around six years though, so it’s worth considering how much you stand to lose if you think you may only keep the bike for a short period. Finance deals are appealing if you are after a new motorbike, but would struggle to pay the full amount for the bike in one sum. Finance will usually mean paying an initial deposit followed by monthly instalments. Hire purchase – This is the most common method of motorcycle finance. The process is as simple as securing a loan for a motorbike which you can pay over time. You can ride it while paying this loan and once the final payment is made you own the bike. Personal Contract Purchase (PCP) – This method of payment is less common and only available to those with a good credit rating. It will only see you borrow the amount of money the bike will depreciate by. This results in lower payments, although there is a balloon payment at the end of the term. You have the option of paying this and keeping the motorcycle, or returning it. Once you have purchased the motorcycle, be sure to get the dealer to show you everything the bike has to offer. This is because new bikes have brand new technology and features that you may not be aware of. You want to make the most of everything your new purchase offers so be sure to get as much information out of the dealer as you can. If you’re not confident in riding the bike home due to not having much riding experience, request the bike is delivered to your door. This means you can then properly start riding the bike in quieter, more familiar roads until you feel completely comfortable. As every bike rides and feels different in one way or another, there’s no shame in asking for delivery — you don’t want to damage the bike before you’ve even get it home! 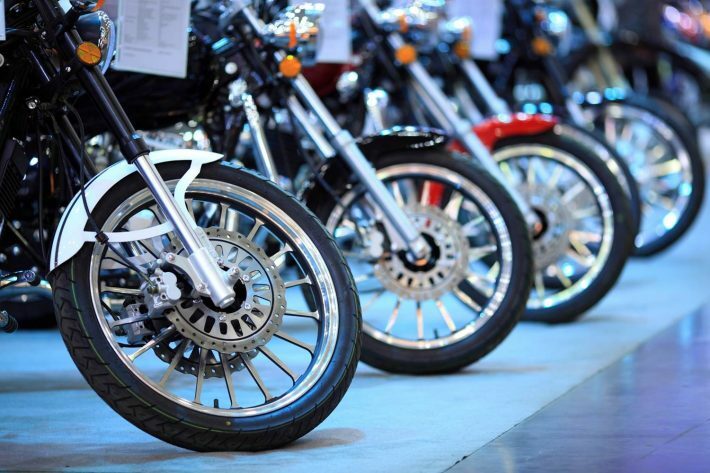 Now take a look at our guide to buying a used motorcycle!